Outside the tech boards and repair shops, that enigmatic guitar-amp component called the rectifier rarely gets a mention other than as some form of promotional pitch, when a manufacturer or salesperson tries to convince you their amp sounds better "because it's got a tube rectifier." Whether or not that claim is true from instance to instance, you can bet in most cases it's a gross overstatement of the truth, while implying a lack of understanding of what this essential part of any amp's power supply actually does. 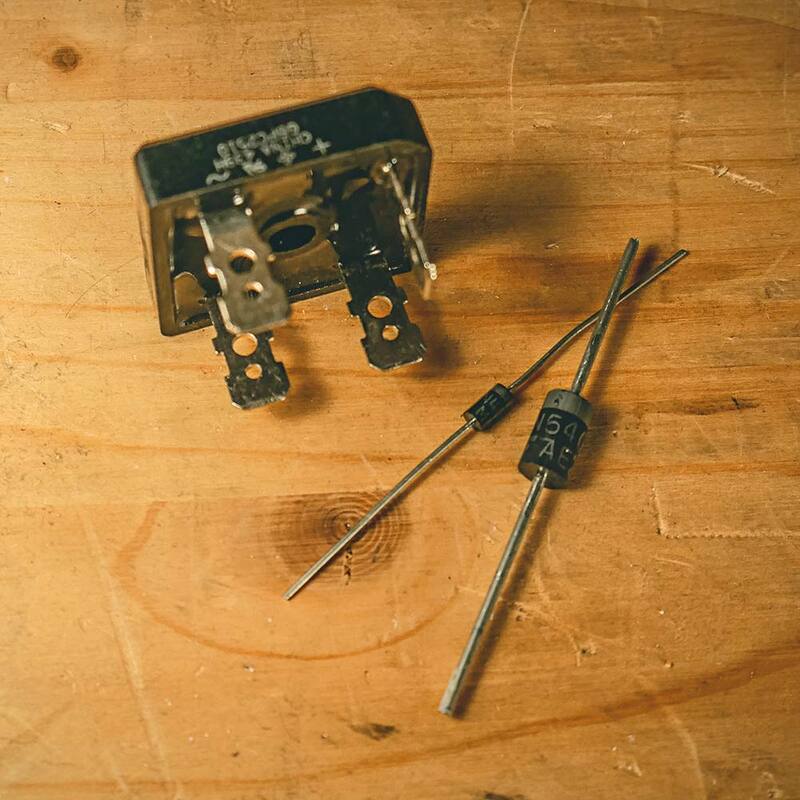 Let's take a look at what a rectifier really is, explore some of the most common types, and consider whether or not it really affects any guitar amp's tone—and if so, how. Put simply, a rectifier is the component or network of components within a tube amplifier that converts the positive and negative lines of AC current from the amp's power transformer (PT) into a single line of DC current that enables the other signal-amplifying tubes to do their thing. In the course of this AC-to-DC conversion, a rectifier usually increases the resultant DC voltage level. In fact, the voltage levels are increased twice on their way to the big output tubes: using a Fender Deluxe Reverb as an example, the AC comes into the amp from your wall socket at around 120V, is ramped up by the PT to around 330V AC, and converted by the rectifier to more than 400V DC to feed a pair of 6V6GT output tubes. So, a rectifier converts AC to DC, simple as that. It is not in the signal chain, meaning the portion of the amp's circuit that carries your guitar signal does not pass through it at any time. Although tube rectifiers are fussed over the most, all tube-based guitar amps have a rectifier of one sort or another. Rectifiers come in two formats: tube and solid state. In today's boutique-ified and retro-inspired world of sonic myth and misinformation, where any guitar gear possessing a glowing glass bottle is generally assumed to be better than gear without, it's important to understand that solid-state rectifiers are not implicitly inferior to tube rectifiers—they're just different. It's also worth noting that an otherwise all-tube amp that contains a solid-state rectifier can still legitimately be called "an all-tube amp." Among rectifiers that are exclusively tube-based, there are also many different types that offer different performance characteristics according to the needs of different amplifier designs. Solid-state rectifiers (which, today, mostly comprise silicon diodes) tend to vary slightly, but that's generally just according to how many diodes are required according to the size and power demands of the amplifier. Let's return to the above statement: "A rectifier converts AC to DC, simple as that. It is not in the signal chain." It's easy to take from that the conclusion that the type of rectifier contained in any give amp doesn't affect its sound in any way, but that's not strictly so. Different rectifier designs, and different rectifier tube types, can have a significant impact on an amp's playing feel in particular, and as most guitarists know, "feel" tends to have a notable impact on our impression of "tone." The speed at which the rectifier recovers from heavy demands upon its conversion duties (called "sag"). For example, when you are hitting the guitar hard for aggressive passages with the amp turned up loud, this contributes to a feeling of compression and "bloom" in the notes. These factors combine to affect the impression of attack, compression, dynamics, and touch-sensitivity that any tube amp gives you. And as a result, they are where players tend to notice how their rectifiers are performing, whether or not they're consciously aware of it. Does this mean that amps with solid-state rectifiers don't sag and compress? No, not at all, because the preamp and output tubes themselves will also sag and compress and bloom in response to their workload when you're playing hard and pretty loud—more in some designs, less in others—and that also contributes to the touchy-feely thing in any given guitar amp. None of this is intended to imply that one type of rectifier is better than the other—they are just different, and in fact the "better or worse" relationship only comes into play depending on what type of music you play. Often, you'll be entirely satisfied with amps carrying either type of rectifier, and for many genres, the otherwise highly acclaimed tube rectifier is definitely the poor relation. Over the years I've heard plenty of players opine that "you need a tube rectifier to get a good clean tone," or some such statement. But the Fender Twin Reverb, often lauded as the best-sounding clean amp ever created, has a solid-state rectifier. Similarly, the Carr Rambler combo also uses a solid-state rectifier, and it's often cited as a great-sounding clean machine for club volumes. Vintage and modern classics that carried solid-state rectification include, to name but a few, the Marshall Plexi and assorted later models that evolved from that platform, 50- and 100-watt Hiwatts, Soldano's SLO, Bogner's Ecstasy, Mesa/Boogie Mark Series amps, Friedman's BE-100 and many, many more that don't suffer in the least from this form of AC-to-DC conversion. Despite the seminal Twin Reverb reverence above, tube rectifiers are found in plenty of other classic twang'n'roll amps like Fender's own Deluxe Reverb and Super Reverb, among others. They are also commonly found in amps favored by players of vintage-leaning rock and rockn'n'roll, blues, raw roots rock, and other styles. That being said, plenty of heavier rock has also been logged on great tube-rectified amps like the Marshall JTM45 head and Bluesbreaker combo, the Vox AC30, and Fender's tweed Bassman and tweed Deluxe, so it's nearly pointless trying to pin these components down to genre (other than the heavy rock and metal extremes, which lean solid-state in most cases). Although there's nothing much to see in a solid-state rectifier, the type of tube rectifier in evidence in any amp design will give you some clue about the relative hardness or softness of its playing feel—in some cases, at least, if not all. 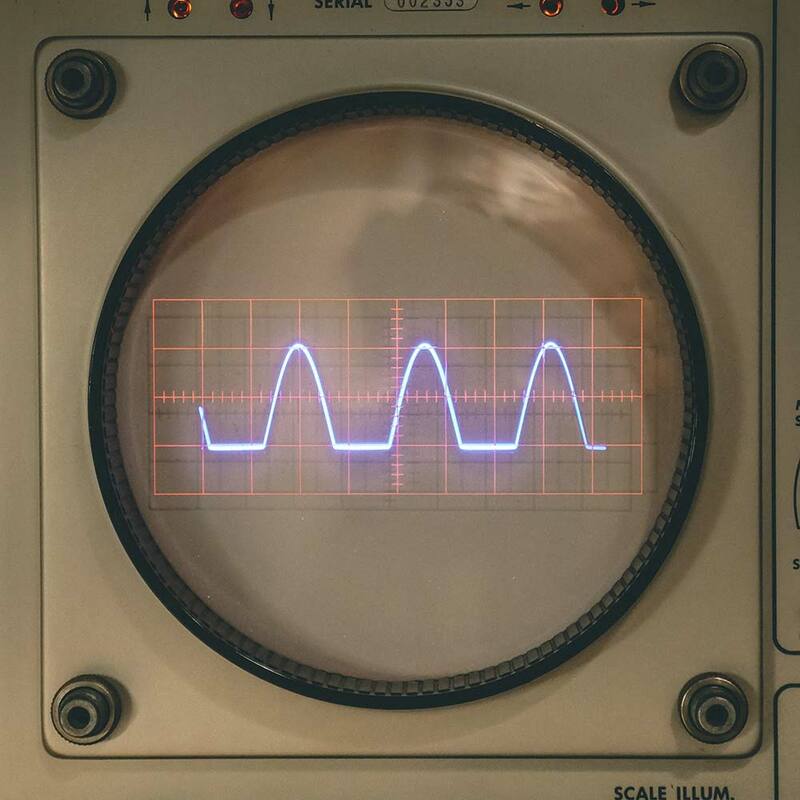 Other factors also contribute to this, but the varying efficiencies and recovery times of different types of tube rectifiers do often hint at the degree of sag and compression you'll get from the particular amp they're loaded into. 5Y3: Most commonly found in American amps of 20 watts or less, such as the tweed Deluxe and its derivatives, the Princeton, and others. EZ81: A nine-pin British rectifier tube that looks somewhat like an EL84 output tube at first glance, found in the original Vox AC15s and other sub-20-watt British amps and their derivatives. 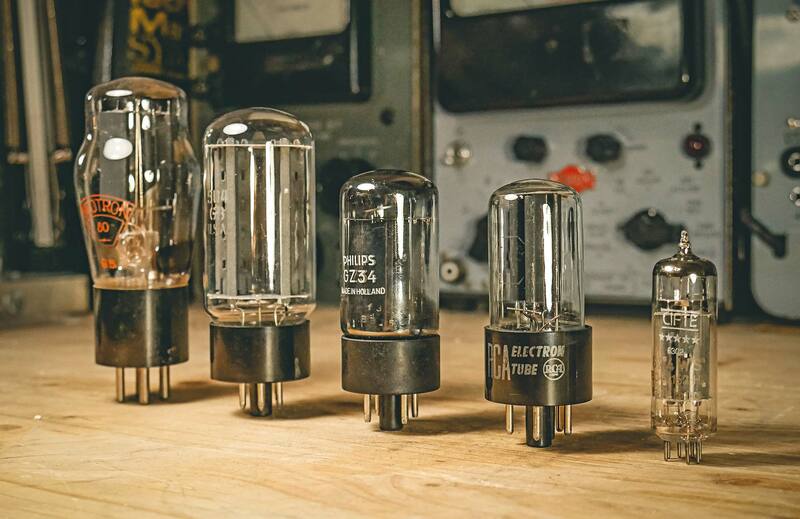 5R4: This large-bottled rectifier tube (not to be confused with the 5AR4, which follows) is rarely used in modern designs, but offers mid-level sag to many vintage amps. 5V4: Housed in a slightly smaller glass bottle than many other eight-pin rectifiers, the 5V4 is a little firmer than the 5Y3 and 5R4. Today, these are most often seen in pairs as a replacement option for the single firmer GZ34 (below) that comes standard in a Matchless DC30, for players who want a softer playing feel and a little more sag. 5U4G: A relatively firm rectifier often found in mid-sized Fender blackface and silverface amps. GZ34 (or 5AR4:) Similar, if not identical, the British GZ34 was an ingredient in the original Vox AC30 of the early '60s, while the American 5AR4 was standard equipment in many larger Fender amps. Both are among the firmest, most efficient tube rectifiers commonly used in guitar amps, although they still present a little more sag than solid-state diodes when pushed hard. In some cases, one rectifier tube type can be substituted for another to tweak the playing feel of your amp, but you should never do this without first consulting the amp's manufacturer, and/or a qualified technician. 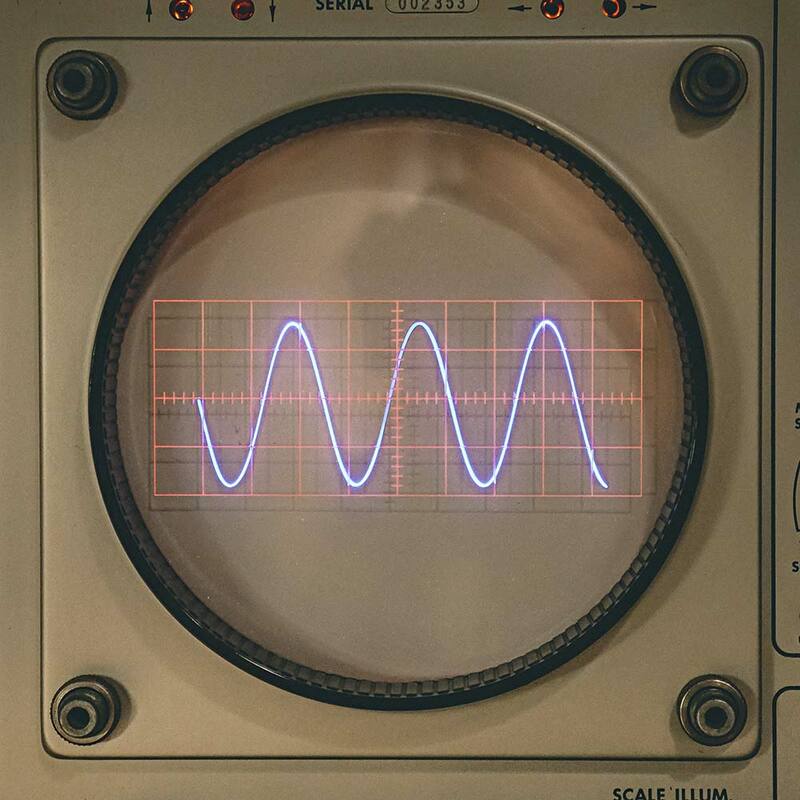 Mismatching rectifier tubes can in some cases lead to major failure and even dangerous malfunctions, particularly when this results in applying higher voltage levels to other parts of the amp. Finally, be aware that you don't have to shop for your next amp according to what type of rectifier it contains, and you're far more likely to find the right amp for you and your music simply by plugging into all of those in your price range and giving them a thorough test drive. Regardless of what they use for AC-to-DC power conversion, let your ears and fingers decide what's right for you. Knowing a little bit about what a rectifier is and what it does can at least help you to be better informed, though, and to avoid any promotional misdirection in particular—and perhaps to understand a little bit more about what's making the touchy-feely aspect of any amp work the way it does.